Australia! Beware of this man and others like him who are named on this website. 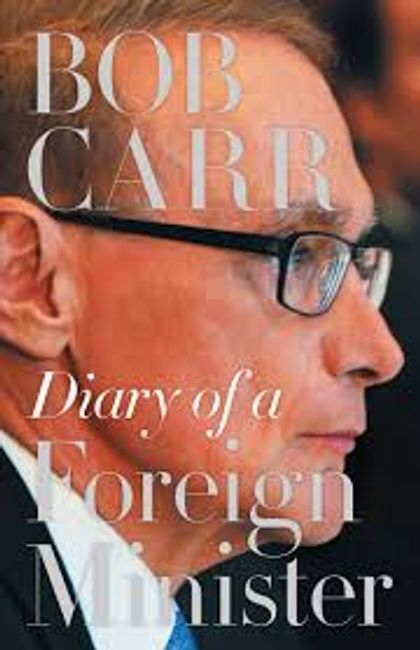 He is Bob Carr, an author and former NSW Planning Minister, former NSW Premier and former Australian Foreign Minister. He has intimate knowledge about the theft and destruction of the two houseboats which are pictured above. 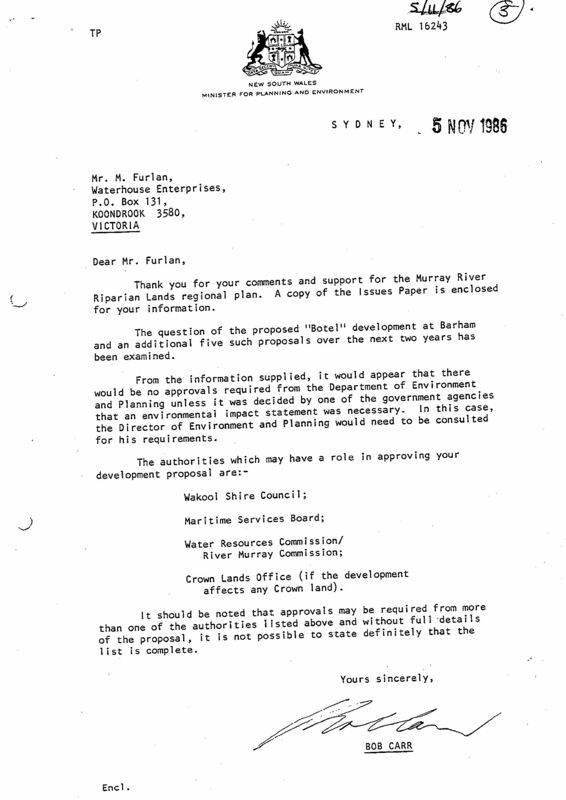 When he signed this letter about a Botel Marina Project he was NSW Planning Minister and he had no intention of following the law. He is afraid to discuss this matter today. If you the reader happen to be a journalist or a public advocate then you are urged to make contact. Furthermore, there must be many ex-officials from that time who also have intimate knowledge of this matter. Their names appear on these documents and they are also urged to make contact. This is a story that should not remain buried in government archives. According to Wikipedia Carr did not like water-based development. He abused his position as NSW planning Minister. He lied, cheated and tried his utmost to delay a plan for a Botel Development. The key to this story is the Murray River Environment Plan. 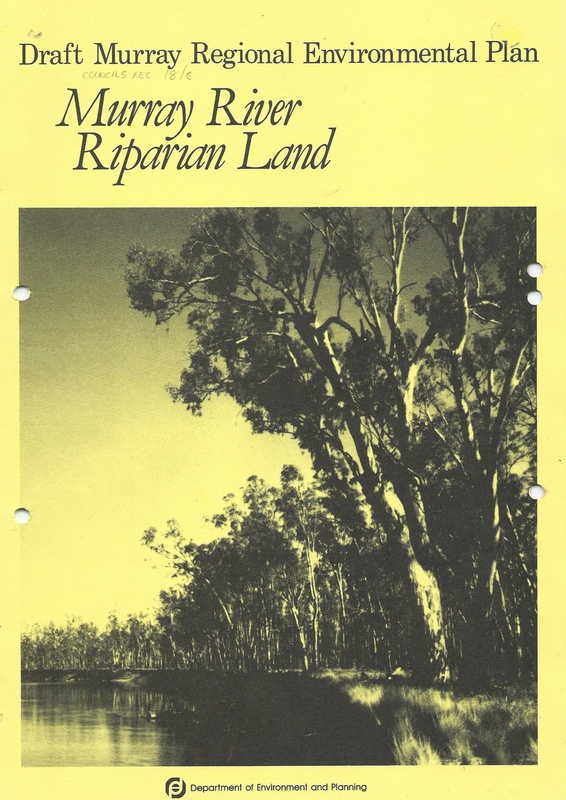 It was meant to clarify the use of Riparian land along the banks of the Murray River, His biggest mistake was to force the development application for a chain of six Botel Marinas along a sham planning procedure before he could enact the legislation. Here is a video which shows the amount of red tape which he used to barricade the project. Here is link to those documents which are arranged in chronological order. Today a Freedom of Information application has revealed he created a fraudulent INTEGRATED DEVELOPMENT APPLICATION in order to cover up his Government"s corruption and ultimately the theft, destruction and disguising the remainder of the vessels. There were numerous Ministers involved and the matter reached all the way to the floor of the NSW Parliament. 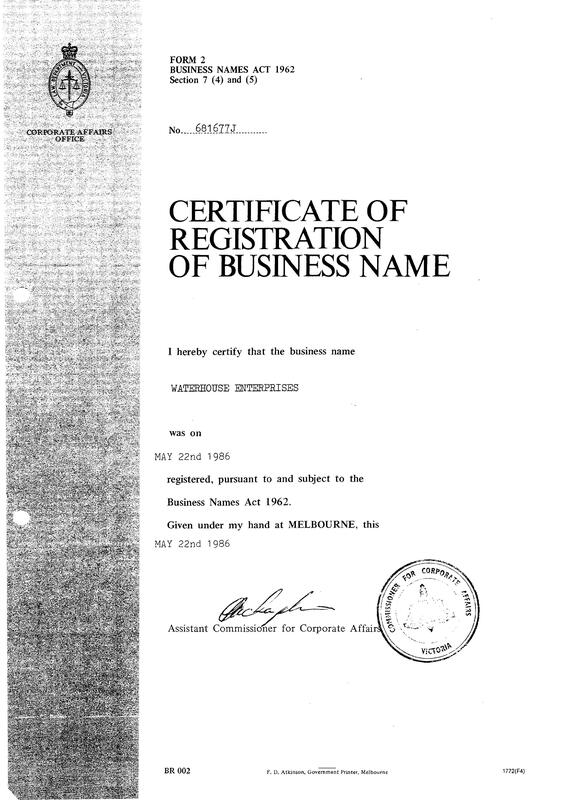 Waterhouse Enterprises was established in 1986. Originally, they intended to build only one large houseboat. There was a great deal of interest and this led to a second business known as BOTEL. Eventually, Waterhouse built two boats which are pictured above in 1987 and 1988. 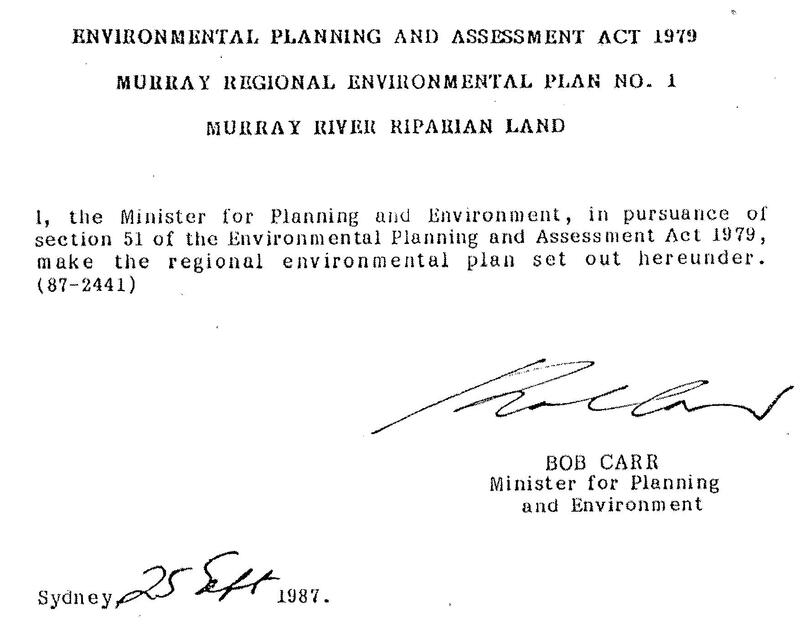 Maritime and council officials confiscated both vessels from the Murray River in December 1990. The father of the last NSW premier Mike Baird was responsible for the theft. It may seem hard to believe that NSW stole the boats to cover up their maladministration. It would be harder to believe that the matter did not end there. The next five years were spent in bitter family law disputes. Child access was the main issue and this had major effect on the mental health of Maurice Furlan, father and proprietor of Waterhouse Enterprises. He had long suspected that Maritime officials had convinced his wife to abandon her marriage. 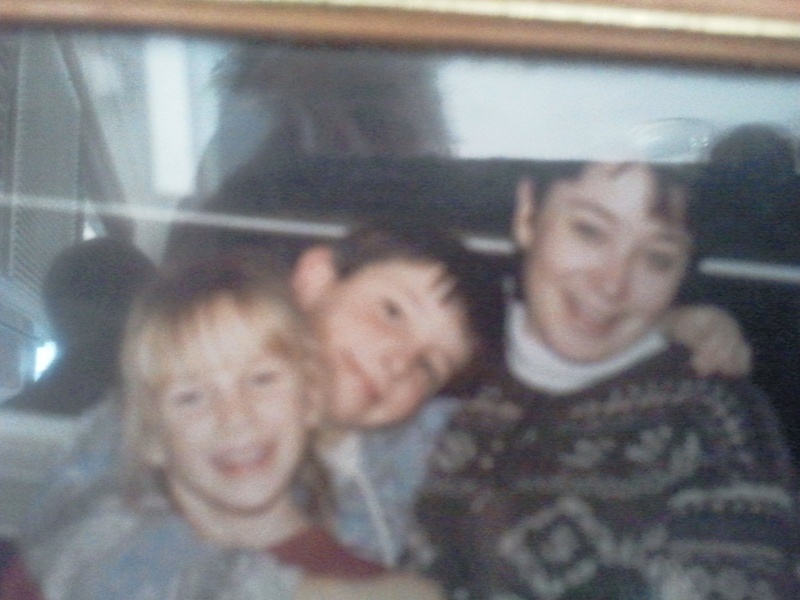 Sadly for Karen Furlan (nee Powley) the stresses of those years seemed to contribute to her early death in 1995 at age 30 years. Three decades have now passed and evidence has emerged to confirm his suspicions about the very senior ministers and judges who were behind those events. 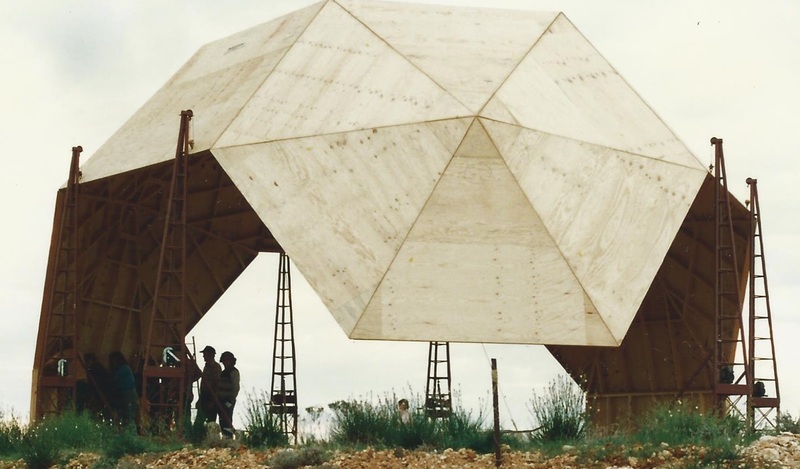 A company from WA, known as Smithson Planning unwittingly published a long held secret in 2012. (see www.smithsonplanning.com.au Statutory Planning Page 7 about an Environmental Impact Statement). They are lying about a BOATEL on the Edwards River. 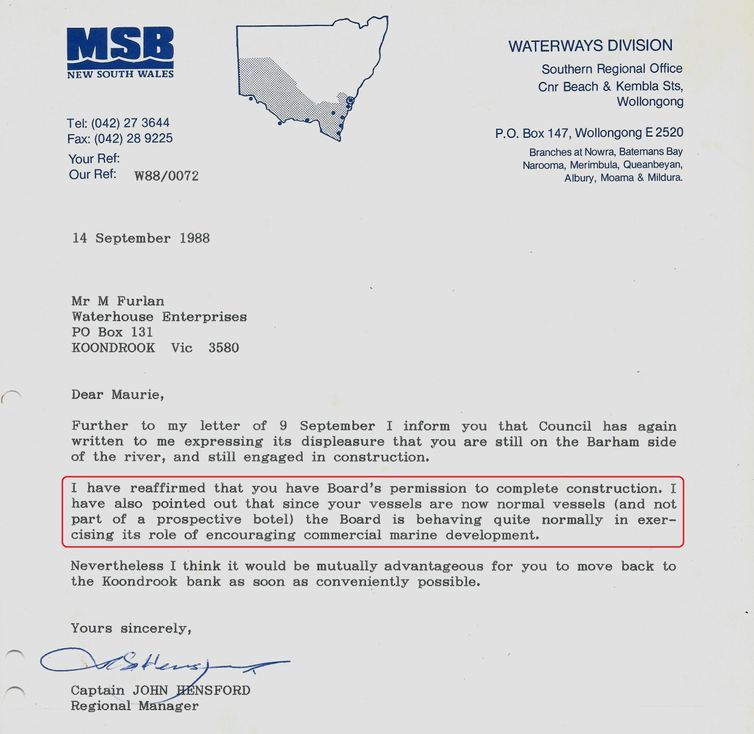 The evidence proves that they were behind the covering up of the actual application which was on the Murray River. here is the official council notice of it. Here is the council's own fraudulent register entries of the BOTEL project. Smithson are connected to solicitors and Magistrates in Swan Hill on the Murray River, in Victoria. On the other side of the river where there happened to be another development for poker machines and houseboats. 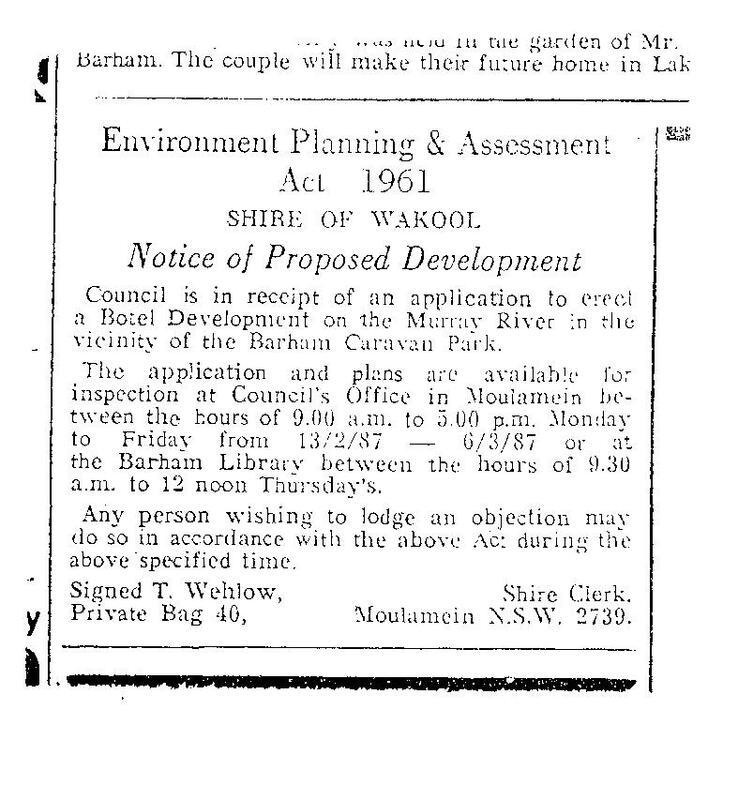 This was never reported in the local newspaper at Barham which had another application for houseboat marinas and their close connection to poker machine clubs. 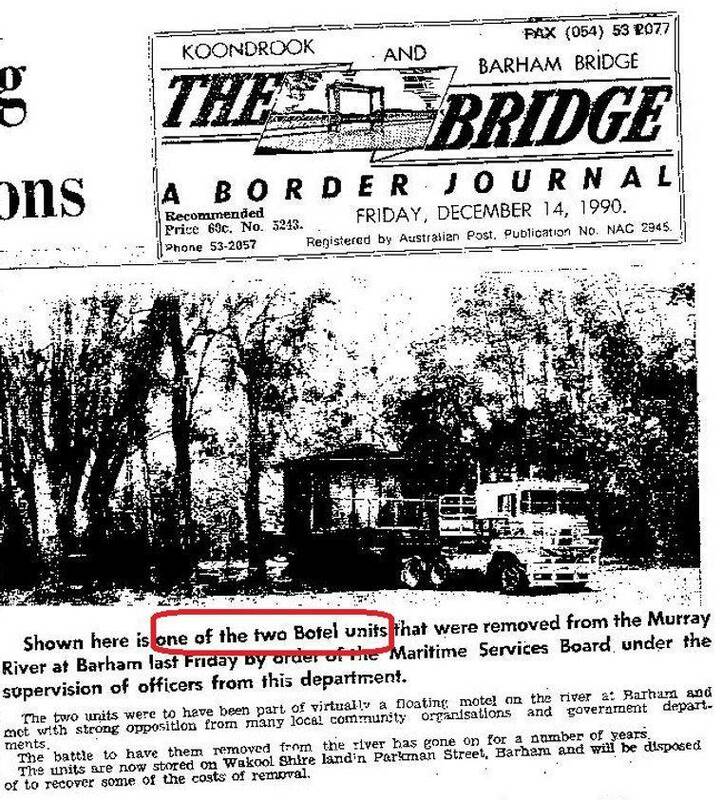 Back then, this local news article misreported that Government Officials removed "Botel units". During the five years in question there was never any mention of Smithson's role in the most controversial BOTEL Project. The Local newspaper described the houseboats as "Botel units" but it did not report that two years earlier in September 1988 NSW Maritime approved the houseboats as commercial vessels. Captain John Hensford was the Maritime Regional Manager at the time and he approved the construction of the "normal vessels". He wrote that the boats were "not part of a prospective botel". The media however had a long history of misreporting Waterhouse Enterprises. These numerous articles give an indication of the controversy that they created to turn public opinion against Waterhouse Enterprises. They were lying for the NSW Government. 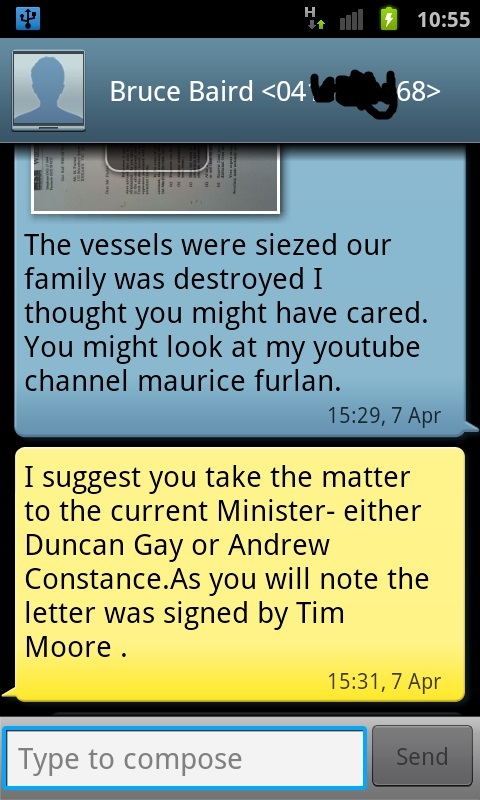 Below is a sworn copy of a NOTICE TO REMOVE VESSELS etc. This formal document was the basis for the confiscation of "the two subject botel units".. 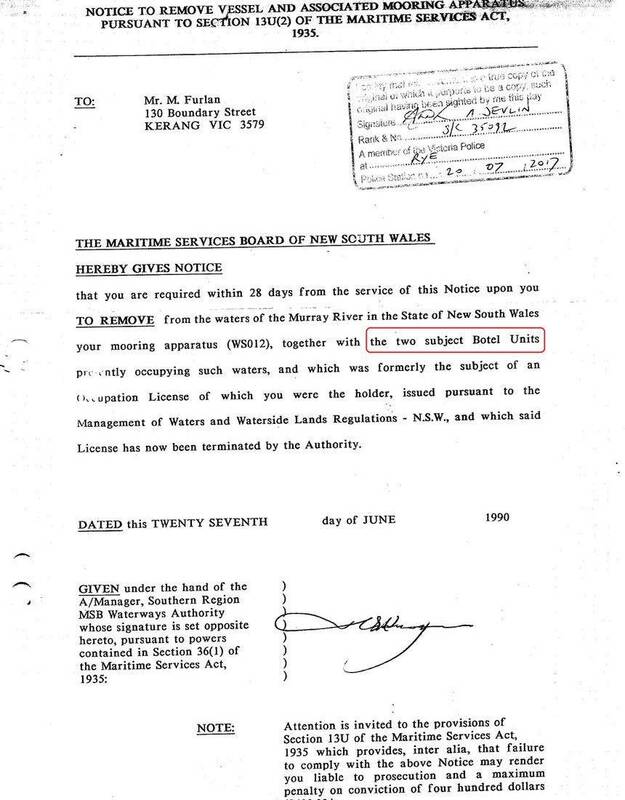 It should be noted that it does not carry the seal of the Maritime Services Board of NSW. 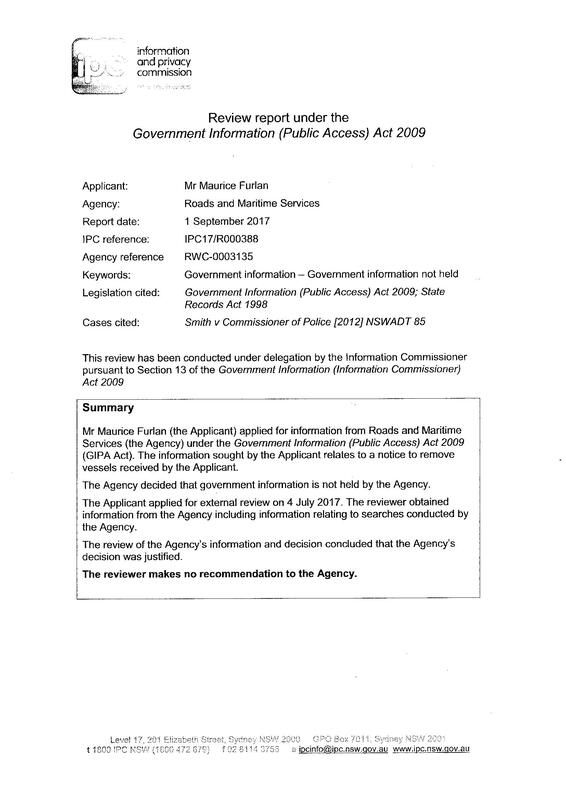 Today however, Freedom of Information reveals that there is no official record of it ever having been issued and that NSW Maritime destroyed the Register which recorded the NOTICES recently in May 2013. There can be little doubt that the notice is FRAUDULENT and that the important people shown below have been aware of this for many years. 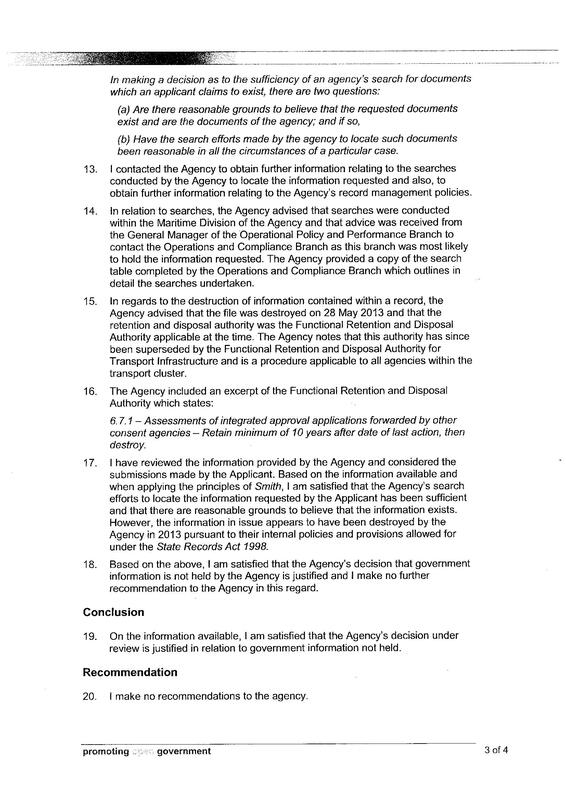 This would explain the constant barriers in obtaining information from current Government Departments. 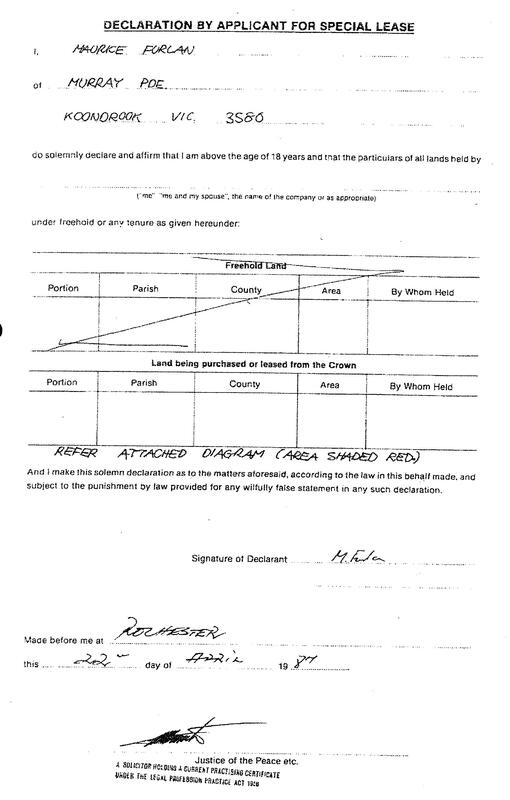 Captain John Hensford signed both the approval and the Notice to remove. According to the Notice, Maritime ordered the removal of the vessels because they terminated the licence. However that could only have been done by Maritime Minister Baird and only recently, he has denied any involvement in the matter during telephone conversations and by SMS. Only Baird had the power to cancel the licence because according to the Crown Lands Department the licence was known as a "Tenancy at Will". Crown Lands had earlier insisted on a Special Lease application from WATERHOUSE to give security against the cancelling of a licence. 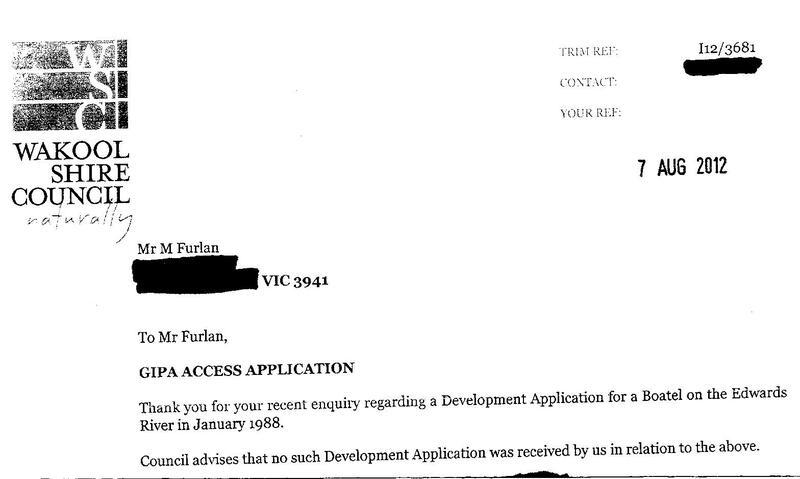 Curiously, the matter of council's displeasure was before the NSW Land and Environment Court. However, thanks to Morrison and Sawers, solicitors for Waterhouse Enterprises; the judge determined that solicitors for WATERHOUSE lodged the appeal application out of time. Pictured below are some of those who know about this matter and/or who have lied, cheated and covered-up the theft of the boats. They include the highest ranking people from the heart of NSW State Government, the courts and media. 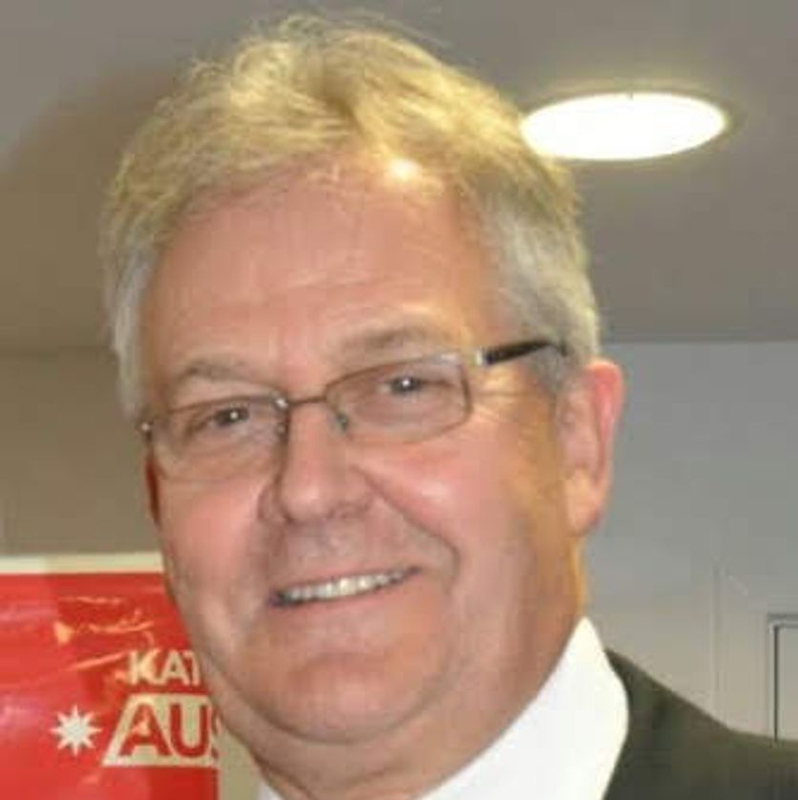 Bruce Baird former NSW Maritime Minister. 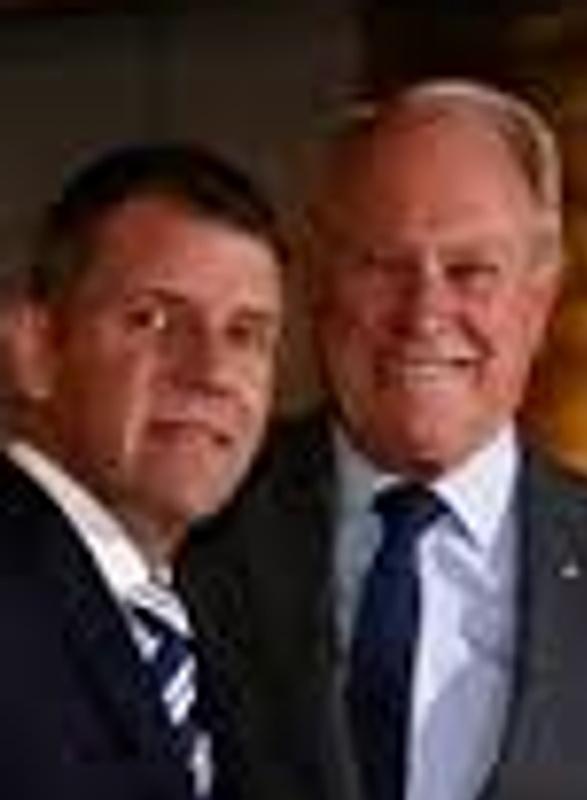 He is pictured here with his son Mike Baird. Bruce used his discretionary power to terminate a mooring licence in order to confiscate two houseboats which were under construction. 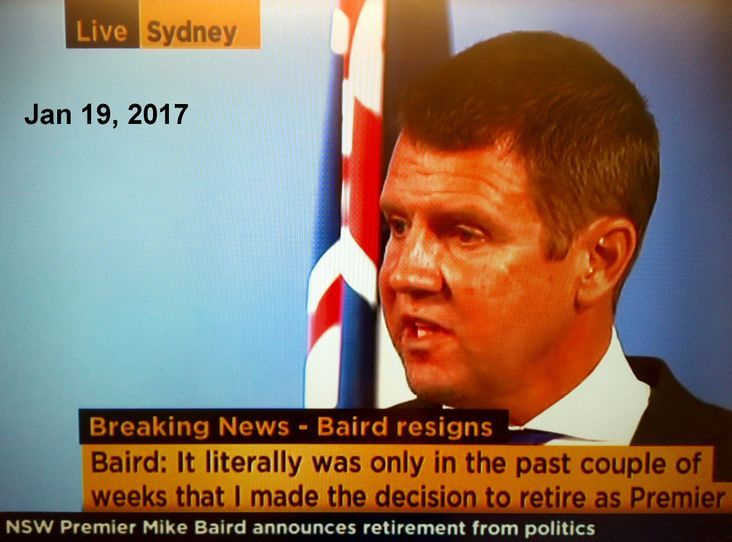 Mike Baird former NSW Premier. He resigned and left politics when he was made aware of his fathers actions. At the time he claimed he needed to leave politics to devote more time on his extended family. However he took up another demanding job in finance shortly after. 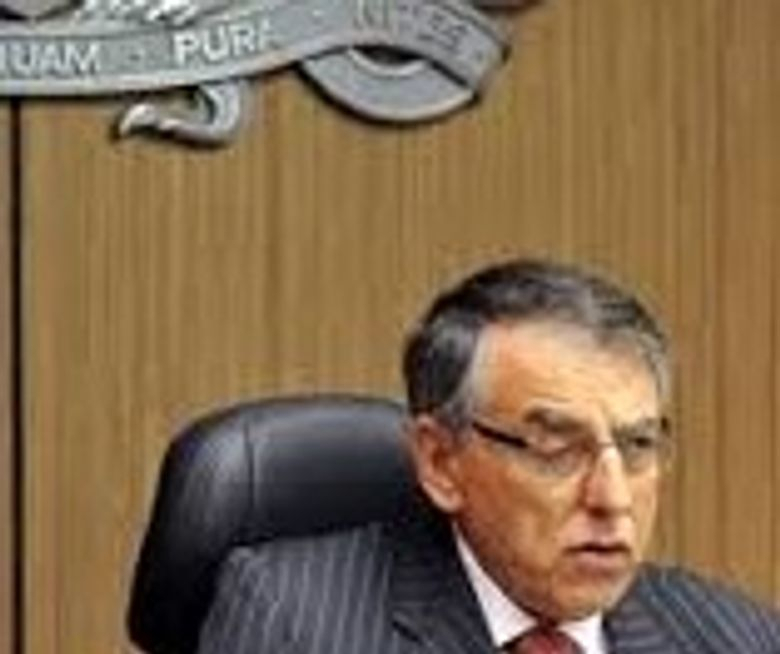 David IPP, QC and former ICAC Commissioner. He was presented with new evidence when it emerged in 2012. 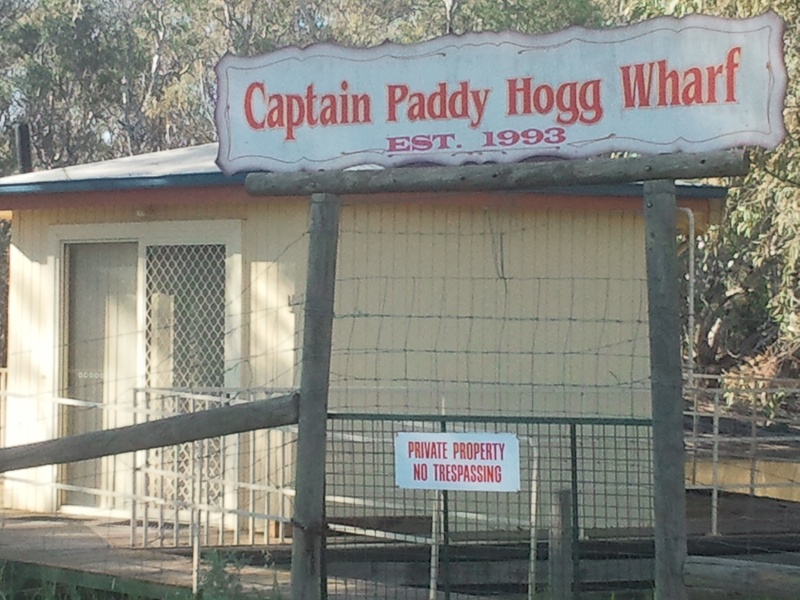 He condoned the actions of the former Wakool Shire Councils in confiscating the houseboats in May 2013. He resigned shortly after. He is now under suspicion because In 2017 Freedom of Information revealed that Maritime coincidently destroyed their Waterhouse/Botel information in May 2013. Ken Trewin, ex-mayor Wakool Shire, Real Estate Agent and successful Motel developer at Barham.